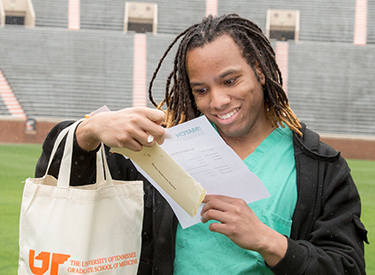 On March 20, medical students nationwide found out which residency programs they matched with through the National Residency Matching Program. 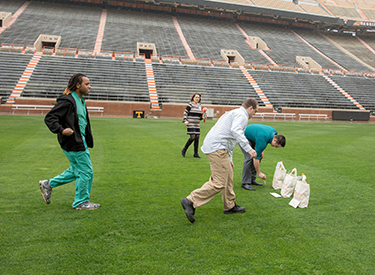 UT College of Medicine students who rotated at the UT Graduate School of Medicine had the opportunity to celebrate Match Day at Neyland Stadium. 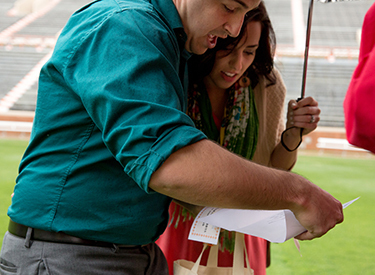 Despite the rain, at 1 p.m., students ran to the 50-yard-line to open their letters and see which national residency programs matched with them. 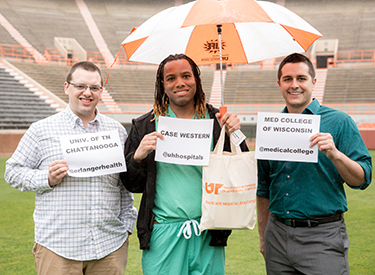 The UT Graduate School of Medicine will welcome the following new residents and fellows into our programs for the 2015-2016 academic year. "The United Way of Greater Knoxville hosts The Great Conversation event"
"Recommendations for breast cancer screening raise concerns"
"Dr. Phil Kronk: A history of medical care of emotional problems in Knoxville"
"UT Medical Center Health Information Center helps patients and families with medical knowledge"
"Why Writers Love to Hate the M.F.A." 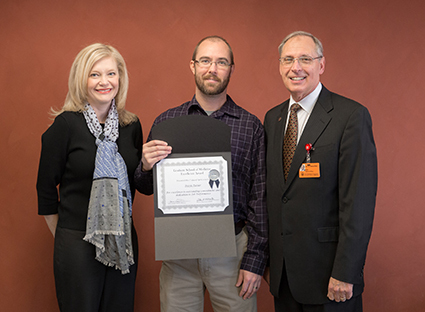 "In search of natural remedies"
"New mammogram recommendations open debate"
The UT Graduate School of Medicine recently honored employees with the ninth annual Employee Excellence Awards program. Excellence Awards are given to staff members who go beyond the scope of their jobs by providing outstanding job performance, courtesy and customer service, community service and leadership. View photos from the Awards presentations and luncheon on Flickr. Jennifer Russomanno is creating a legacy of service dedicated to improving the health and lives of others. In 2012, she started a vegetable garden on her property using organic methods. She has since started offering her produce at local farmer's markets. Upset that organic vegetables were so expensive, Russomanno wanted to offer them at more reasonable prices for people on fixed incomes. 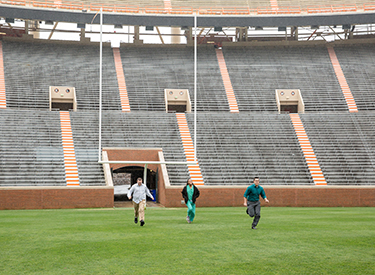 Also, Russomanno is involved in The University of Tennessee Medical Center Wellness Committee and has served on the Man Run Committee. 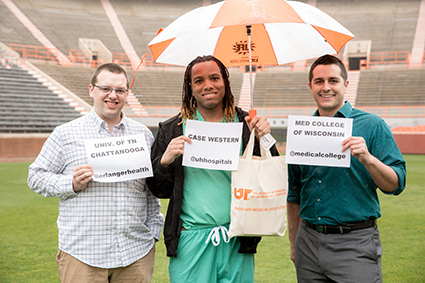 She is currently completing a master's degree in public health, and she has focused her research on how to best serve the health needs of East Tennessee. 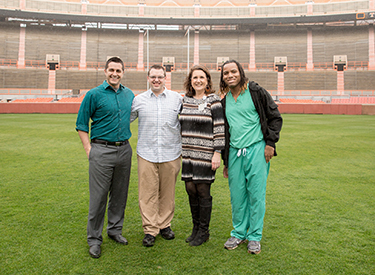 Of Russomanno's efforts, Laura Maples, CEPD Director, said, "Even though she is not a native to this area, she cares about the health of East Tennesseans. She is developing research that will go to the root of the problem and help bring solutions to the healthcare issues of this region." As Help Desk Manager, Travis Turner has developed a system for computer replacement for all GSM machines. He has developed guidelines for how all GSM Help Desk calls are handled and prioritizes incoming requests. The Help Desk manages IT needs for approximately 1,000 users, and, through survey response, the Help Desk has a 4.953 customer satisfaction rating. In 2014, the Help Desk responded to 3,310 work orders. Nearly half of all work orders were closed within an hour, more than 75 percent were closed within 24 hours, and the overall average was 26 hours. 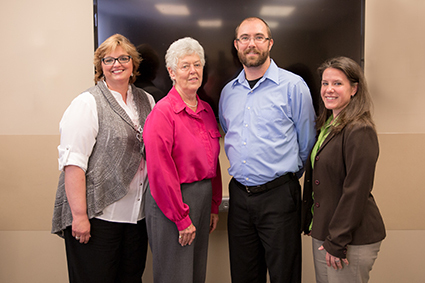 Alison McNabb, HIMS Director said, "Travis has gone above and beyond his role and has helped everyone at GSM at some time. He handles a tremendous amount of responsibility and takes pride in his work. 'How could they survive without him?' I believe Travis is in that category." As an administrative coordinator to MITRP and ACTP, Melissa Weaver handles researchers' paperwork for scholarly activity, their travel, payroll, and other administrative duties. However, she is commonly noted for going above and beyond the scope of her job by assisting other departments with moving offices, helping new programs set up new offices, or even making sure her team members are taken care of when she is supposed to be off duty. 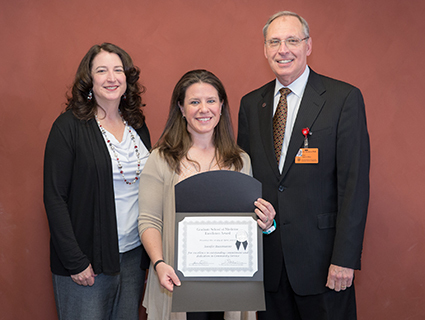 In nominating Weaver, Chelsea Angel, Research Specialist, Anesthesiology Research, said, "Melissa's influence has significantly contributed to the progress of the Anesthesiology research mission. Melissa also has positively contributed to my professional development, as I will strive to emulate her approach throughout my career." 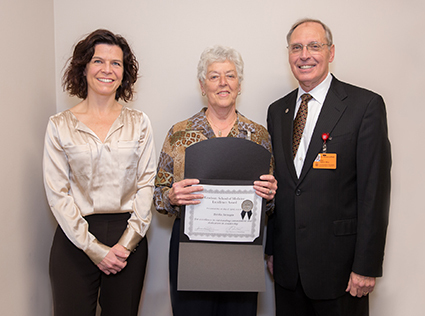 Bertha Jarnagin is noted as an invaluable asset to her department and especially to the Radiology residents. She helps ensure residents are up to date with training requirements and paperwork, and she is also known for providing mentorship to the residents as well as making them feel at home with the comforts of home cooked foods. Prior to working in Radiology, Jarnagin has a history of working on the cutting-edge of services including LIFESTAR and Telemedicine. 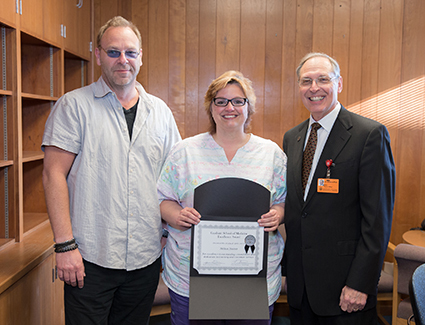 In nominating her, Debbie Jarvis, Radiology Medical Administrative Coordinator, said, "Her devotion to those she serves is not a job, it is a calling. Although her role of leader, counselor and mentor was never mentioned in her job description, that is what she became. She saw a need in the program we serve, and she filled it with a passion."